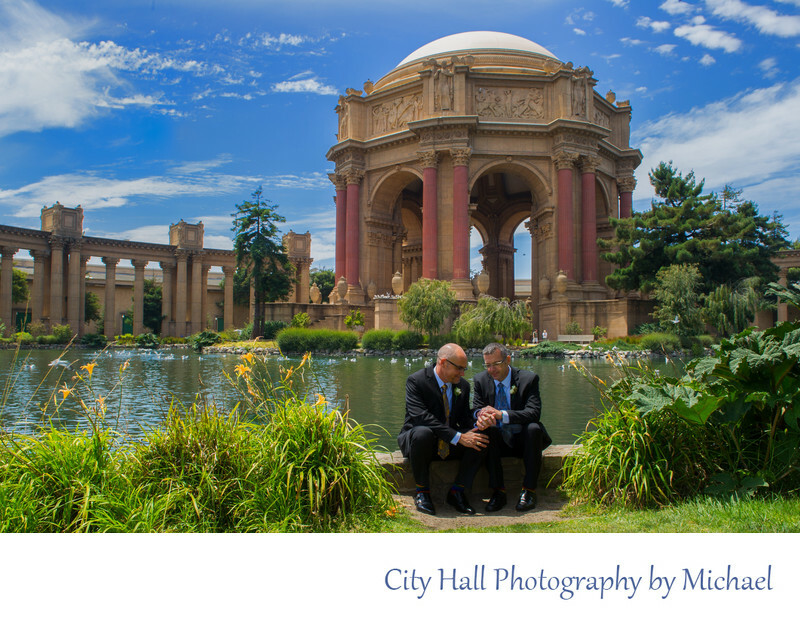 Many our City Hall weddings end up booking our San Francisco photo tour and we often end up at the Palace of Fine Arts. This great couple asked us to drive them around SF and we happily took them to the Palace on a beautiful day in the The City. For this image, I thought it would be nice to just have them sit in front of the Rotunda by the lake and interact. Nothing posed, just the happy married couple enjoying their wedding day and perfect weather.